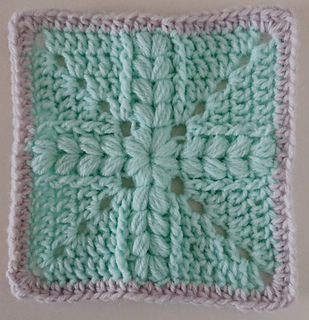 This easy to make, textured granny square is inspired by my other design, the Puffs and Hugs Baby Blanket, which is available on lovecrochet.com. 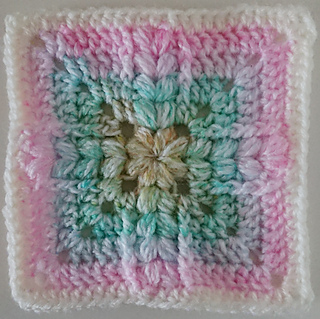 The pattern is using puff stitches and front post stitches to create a nice, textured look. 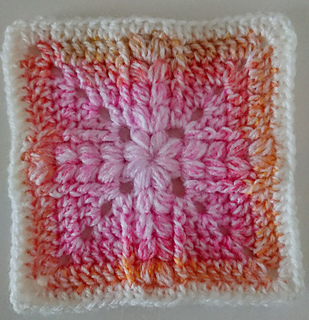 Finished size of the square is 5”x 5”, which can be used to make a big, granny square blanket. 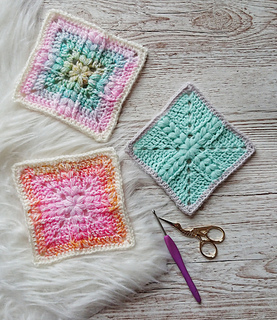 I hope you’ll enjoy this little project!